I got glutened last week. Again! And again it happened after what seemed like an endless conversation about pitfalls, followed by nodding and quite convincing agreeance. Never the less, somewhere between waitress and chef the message got lost. Why must it be so hard? At that point I felt as though I had reached a ceiling for what I am willing to put up with from this disease. I can’t even go out and have a salad now? Come on! One of my favorite things to do has always been exploring new foods and restaurants, often combined with travel. To this day I don’t know how I’ll get through a journey to a remote destination being coeliac. I do know however that I will have to find a way or my life will have changed more than I can accept. My biggest goal with Thank Heavens is to ultimately be able to educate food suppliers en mass. I want to reach so many more than I can right now, and much faster than the snail trail I seem to be leaving behind. One restaurant at a time, limited by the amount of eating out I am able lock down is simply not fast enough. 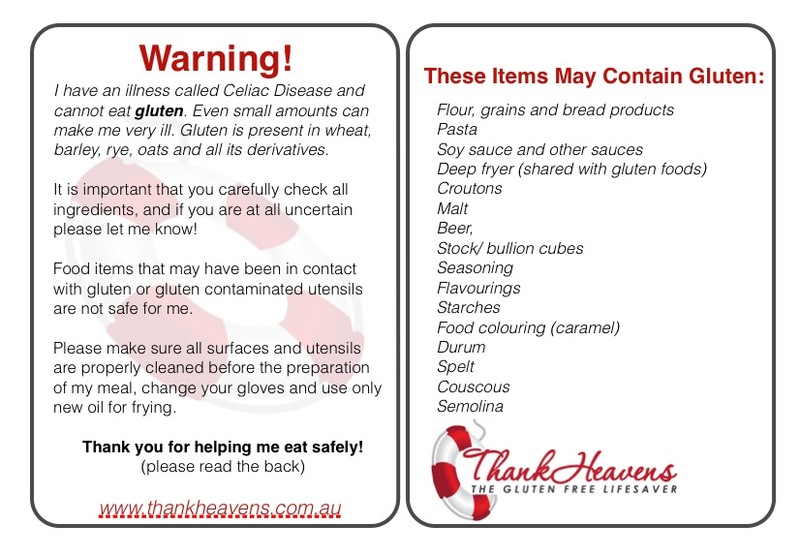 I’d like to be able to provide and secure correct information to the right people wherever coeliacs eat. It would be so lovely to know that we are safe. I’d happily settle for a limited selection if only I knew it couldn’t harm me. It is hard enough finding a potential restaurant, not to have to go through the same old arduous explanation process yet again. It’s just sometimes too much on a Tuesday evening. Not to mention that we all know just too well that no matter how meticulously you explain yourself, eating out is always but always somewhat of a gamble. In fact even in the circumstances where we are quite safe, our minds will be working overtime to process the unknown. We just never know, and that stress is from time to time more than enough. But we have to live a little! And to be able to do that we need to find tools that ease the process and give us better odds. Do you use a separate grill for your GF bread? Do you have separate utensils? Is there any chance that the produce may have been in contact with gluten during handling? Do you have access to an ingredient list for all components? Can you use clean tools to prepare my meal? Many of these questions cue pointers that Joe Blog hadn’t thought of. And why should he? I sure didn’t know much about cross contamination before I was diagnosed. Often it’s the conversation between the two of you, and the way you get your point across that makes all the difference. Joe gets the basics and passes the message on to the kitchen. However, Joe can’t deliver the whole story, and he certainly can’t get the urgency across the way you can. So along the way, in spite of good intent, details get lost and you get glutened. Yeah, no wonder it goes wrong.. I suppose we can never be sure about handling. We have to simply live with that uncertainty, unless we wanna eat at home for ever. We can however do a lot to at least eliminate Chinese whispers. So as much as I would love to scan through every kitchen, obviously I can’t. I did however make you a Restaurant Card that you can print out and take along on your next outing. The card contains the most important information your chef and waiter should be made aware of, and it not only cuts out the element of confusion, it also takes the pressure off of you. Imagine being able to eat out without engaging in a 15 minute discussion with waitstaff! I hope this tool can come in handy. Make sure your waiter reads it and then hands it to the chef. all you have to do is let them know that what is written on your little card is very important. The card is in a PDF file on a link just below the post. Print the card out and fold (or cut/glue) front and back together. The card will fit nicely into your wallet! Mix Your Own GF Flour! ← Step-By-Step Hoisin Chicken Moreish Maki! This would also be GREAT for people like me. 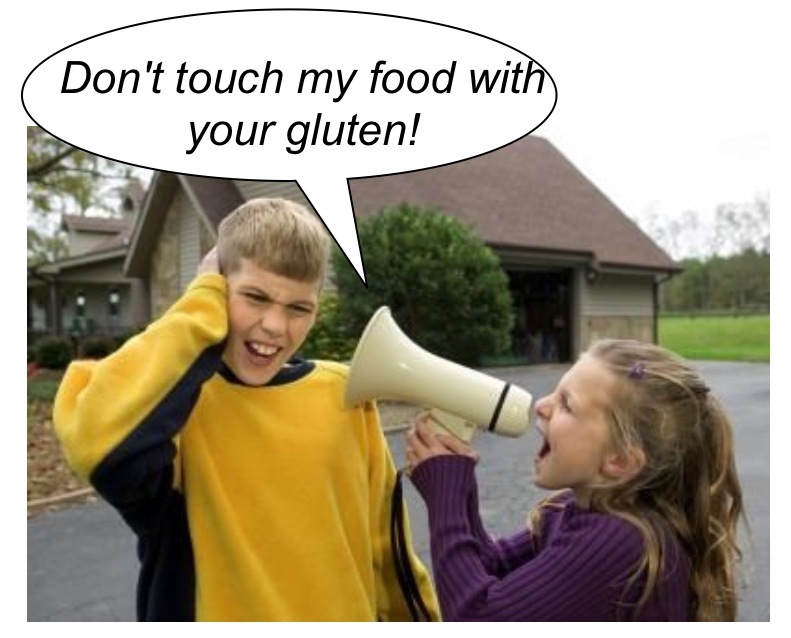 I am allergic to Gluten. I carry an Epi-pen and I have almost had to use it a few times because I was told the food was GF. I have even told a waitress that I am HIGHLY allergic to gluten and please be sure there isn’t any croutons on my salad….well, when I received my salad there were croutons in it, not just on top. This is very scary for me and it would be GREAT if there were more people out there aware of it. Hi Bambi, thank you for your input! 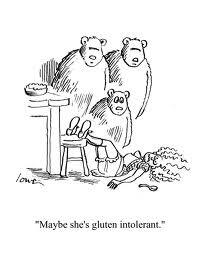 Gluten allergy is a very real and very underappreciated disorder. You deal with the exact same food challenges as coeliacs, but your potential outcome is even worse should there be an accident! I can totally appreciate your struggle, and I am so happy that you can make use of these cards! This site is AMAZING. I have been around the world with their multi language cards. I’ve used the Greek, Spanish, Italian, and German ones. 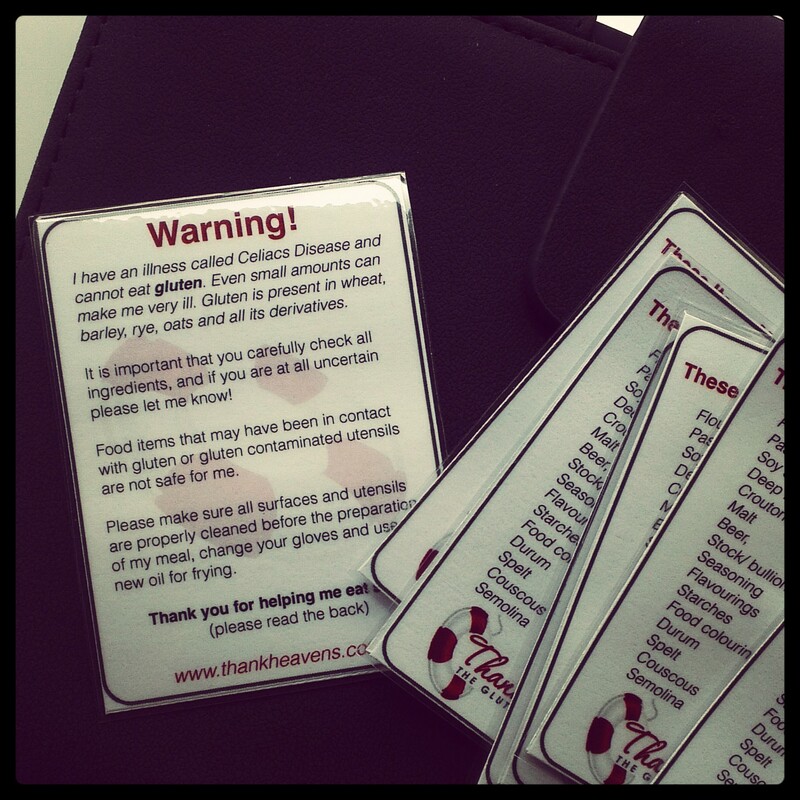 I print a load out and give them to the staff anywhere I want to eat, and it makes such a huge difference. Highly recommended! We can still travel! Pancake Parlour were advertising Gluten Free Pancakes, so I asked what the substitute flour was, and it was rice (to which I am sensitive) I also asked if they used a separate grill in another part of the kitchen, but no, they are cooked on the same grill as the ordinary pancakes, and mixed in the same area. Needless to say, I would not be going to Pancake Parlour. That’s very interesting. They sent me a press release recently wanting me to post about their release of a gluten free mix. I’ll have to look into this further.